New menu is here. 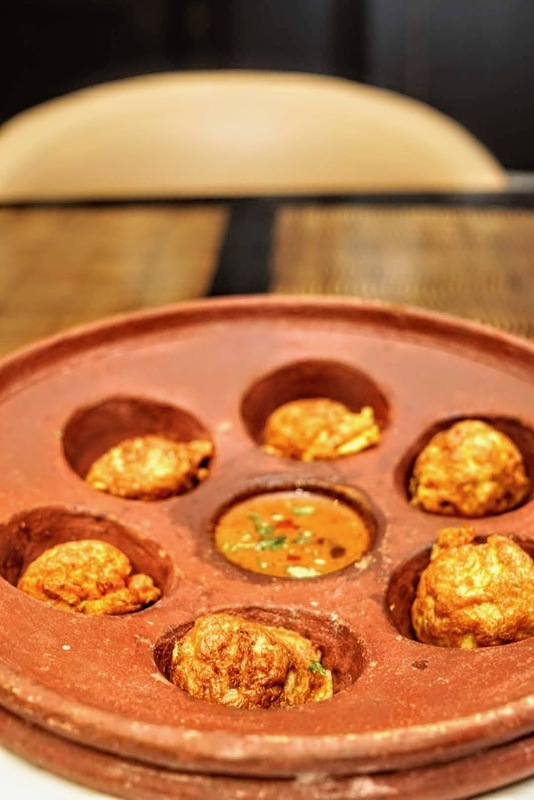 601, at The Park, a restaurant that consistently roles out great food festivals has taken a huge plunge in its new menu with desi inspired dishes that, by first impression, has ticked off all the right boxes. And what happens to the desi dishes? They take a global twist! Yep. How about Himalayan pink salt on flat bread? Great start. Kozhi paniyaram with salna and Singapore soft shell chilly crab with steamed mantou buns to mop up were the ones with no twists. 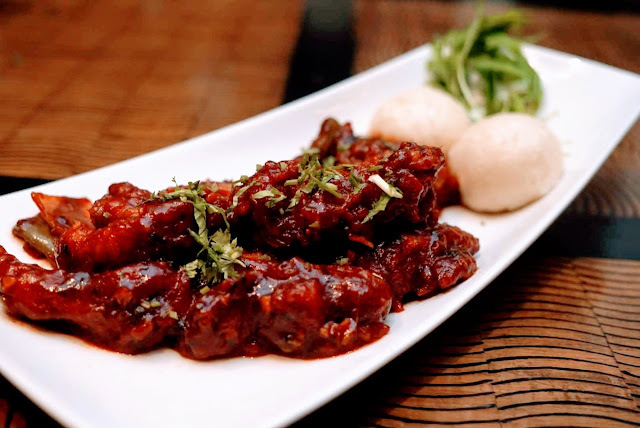 Clearly, the chef has taken a stand on which dishes to mess with and what to leave alone, so the twists don't feel forced. In the bargain, flavours stay clean and true. 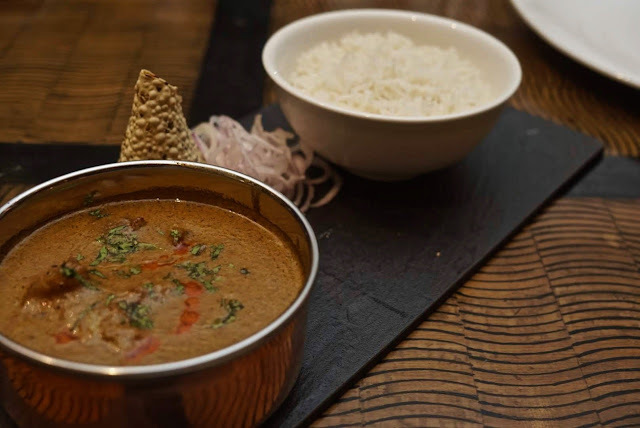 The rasam is where the twists begin. 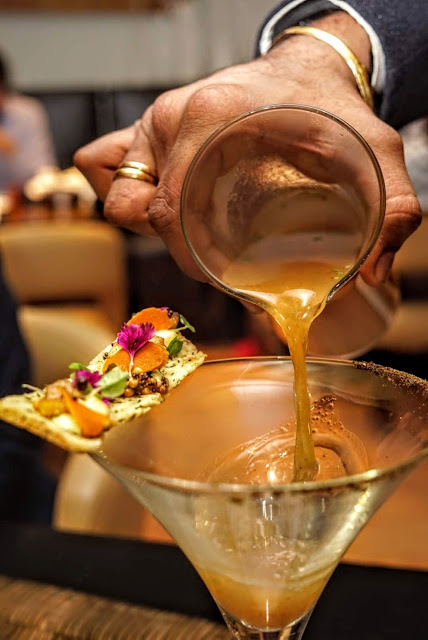 A beautifully spiced rasam, served with some theatrics over a martini glass that precariously balances a small biscotti. 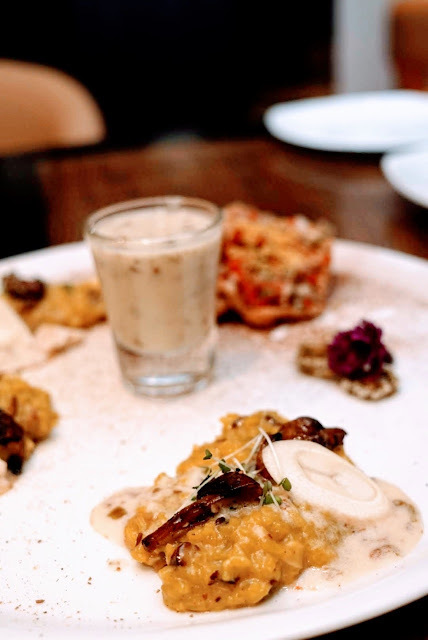 The biscotti itself was balancing some curry leaves, fresh sliced turmeric and pepper, the martini glass was coated with pepper that tingles and the waiter tactfully pours the rasam without disturbing the little art on the glass. You would be forgiven for thinking the biscotti was stuck, so when it comes off and lands in your mouth, the heady south Indian spice mix enhanced by the peppery rasam then allows the coated pepper to tingle you, this one dish is a winner that needs to be spoken about more. And tasted more. And written about more. 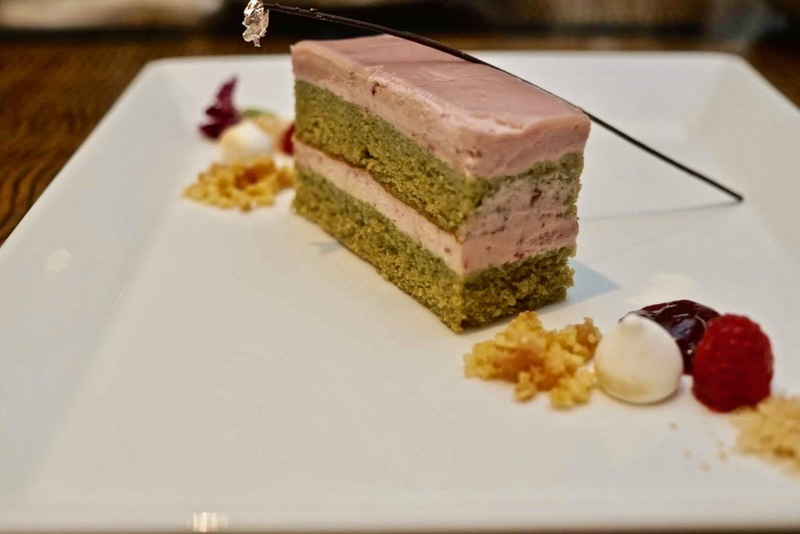 The dish is so powerful, that it comes with its own palate cleanser, a watermelon feta sorbet. Killer soup! After, that is what rasam is! But this is a rasam with a palate cleanser! The twist continues with the risotto, rather a total destruction of the risotto that is then reconstructed from ground up, so this is not some deconstructed version of the risotto. Instead of using Arborio or another fancy Italian rice, the chef risottises (yes, I chose that non existent word ahead of risotto-fied) the Gobindbhog, a Bengali short grain rice, with mushroom and palm hearts and serves it with a shot of kadhi. And completing the desi twist of the risotto is the addition of home made Chettinad pappad! Sambar rice and appalam - move on, you have serious competition! A Bhutanese datshi made with salty Bhutanese cheese was probably the dish that didn't look as good as the others, but tasted right up there with them. Especially considering the amount of saltiness in the cheese, it is so easy to go wrong with this, but manages to stay on the right side of saltiness! Goes perfectly with rice. 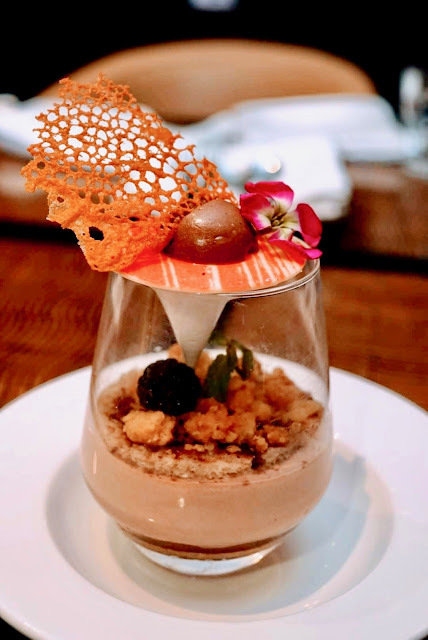 With Milo making a comeback in a number of Chennai restaurants, 601 has added an interesting upside down dish with milo trifle for dessert and was a little too complex for me. I preferred the simpler green tea and raspberry cake! There are another 20 dishes that I am now dying to try! But before I try them all, another helping of the rasam and risotto please!